Everyone knows that oak trees produce acorns – a process that scientists call masting. The trouble is, they don’t do it every year. In fact, there didn’t seem to be any pattern in when they produce acorns and when they were bare. Enter Walt Koenig, Senior Scientist at Cornell University. 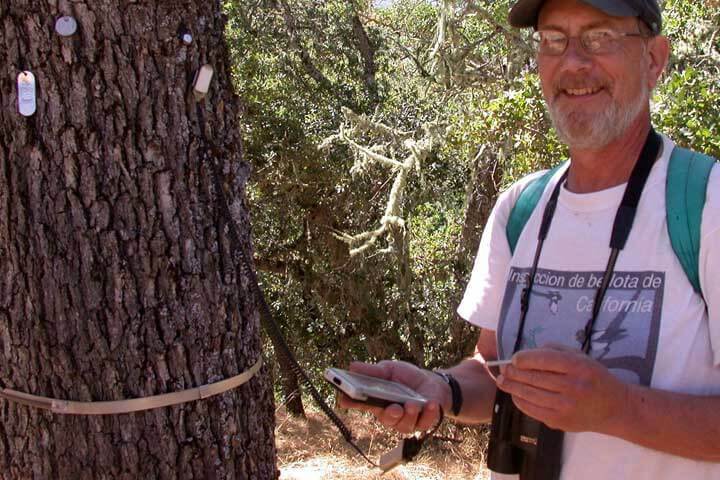 For more than 15 years, Walt and his team have studied the effects of microclimates on acorn production levels in California oaks at Hastings Reservation, and Thermochrons have played a major role. “Masting has a chain reaction effect on the environment. With variations in acorn crops, we see corresponding changes in populations of deer, mice, ground-nesting birds, and other species,” explains Walt. To test their hypothesis that weather influences masting, Walt and his team have been using Thermochrons to record temperature variations and match those results to acorn counts. “We were trying to discover the mechanism that drives masting. We had discounted other factors such as chemical signalling. Our attention turned to weather,” said Walt. The researchers attached Thermochrons to trees and set them to record every four hours. What they found lends weight to their theory. 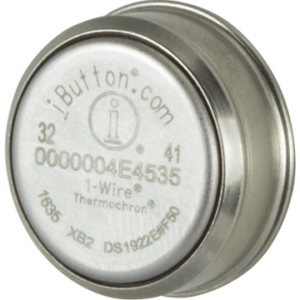 The water resistant, stainless steel construction of Thermochrons allows them to be deployed in the field and survive conditions that would ruin other loggers. You can read more about Walt’s work on this web page. Scientist Walt Koenig reads data from a Thermochron into a Palm Pilot. The Thermochrons were attached to trees and read once a year. If your measurements are in the range of 140°F to 250°F, this is the logger for you. Place it directly in your test environment. No probe. Our most popular logger. Small, tough and incredibly versatile. Great for food safety, research (laboratory or field), vaccines safety, transport and much more.